Ipsos Global Affairs provides research and advisory services to all organizations serving the global public interest. We help international institutions and agencies, global foundations, corporate entities and global NGOs achieve their mission. To facilitate the decision-making of our clients, we deliver a set of offers including complex international social research studies, qualitative approaches, data innovations and consulting services across the issues impacting societies. City Societies - Bringing together the broad network of experts and experience around the world to promote the concept of City Societies – how we live and connect – using survey and external data sources. Corporate Sustainability - Helping businesses to reduce existential threats, bolster business continuity, rally stakeholders, and increase competitive advantage through understanding the impact of their sustainability investments. Digital Impact & Governance - Tracking, measuring and analyzing the societal impact and regulatory needs brought by exponential technologies. Providing program design and advisory solutions for global Tech-impacted stakeholders. Future Education - Education is at the core of our mission because it is about giving the future generations the power to face the challenges ahead – both from a business and a social perspective. We are working with the education community, students and workers to track their expectations, and improve education systems and access to education for all. Healthy Societies - Aggregating multiple sources of expertise (external, internal, academic, medical profession, data-scientists) and methodologies to help decision makers promote access to health care, and allow patients and citizens better understand debates in this domain. Humanitarian - Working across humanitarian contexts to understand the impact of crisis, needs of those affected, and delivery of services, advising organizations and amplifying the voices of the traditionally unheard. 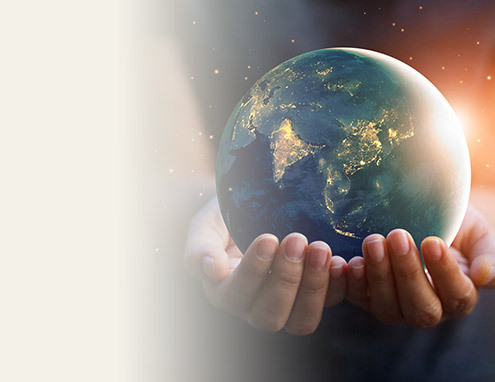 Spiritual Shift - Measuring and interpreting the ethical and spiritual undercurrents in rapidly transforming global societies; helping the understanding and transformation of purposeful institutions both ancient and new. Sports & Society - Providing global sports organizations with the understanding of public opinion and behavior to enable them to be drivers of change in society. Women's Empowerment - Offering a holistic perspective on women's empowerment to enable governments, the private sector, and community-based organizations to engage with women to drive and strengthen economies, enhance their product and service offerings, and to ensure continued progression towards full human rights and equality. Impact Assessment - Enabling clients of all kinds - from small NGOs to large multinational corporations - to determine the right social investment, whether the investment is being delivered effectively, and the impact of the investment on their beneficiaries and their organizations. Philanthropic Drivers - Supporting sustainable growth in individual and corporate giving – financial and non-financial – by helping clients to understand and build strong relationships between donors, beneficiaries and communities. Private-Public Reputation - Understanding the value and potential risk of private public partnerships through our reputation and equity flow models.